Current Projects – Freunde von Nouna e.V. 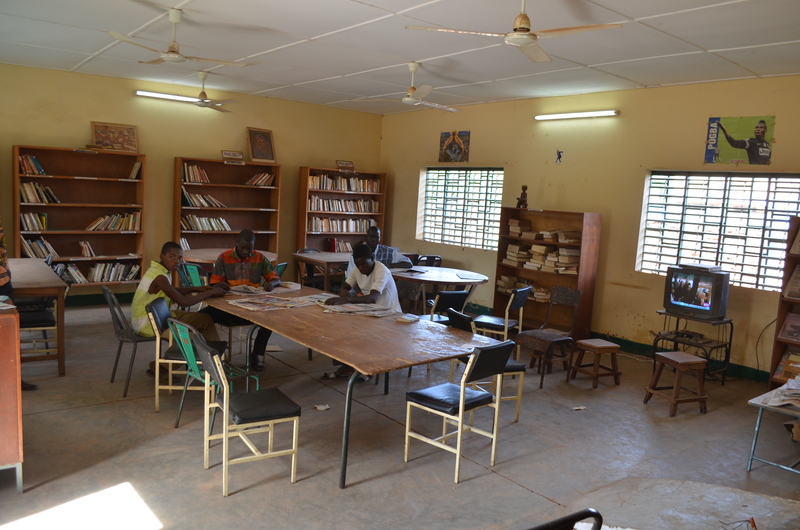 We have recently launched a new project in collaboration with the City of Nouna to renovate and equip with books the city library. Construction began in early 2018. 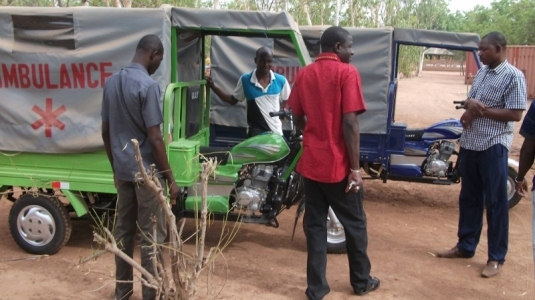 Friends of Nouna will buy 1000 new books in partnership with the Biblionef association. They will be delivered as soon as the renovation works are completed. 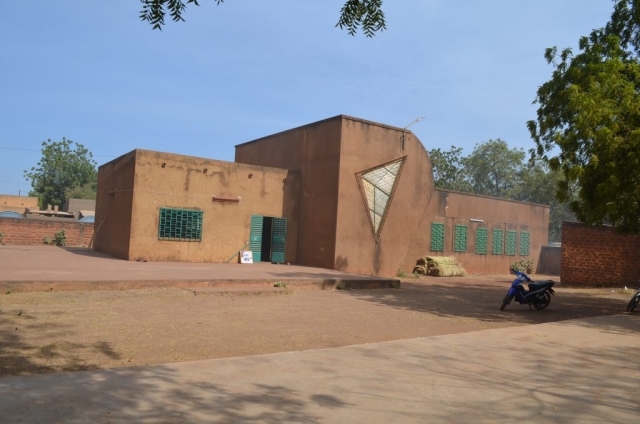 We will further buy African literature directly in Ouagadougou. The hospital in Nouna is the only one in the area and is accessible to all local residents. 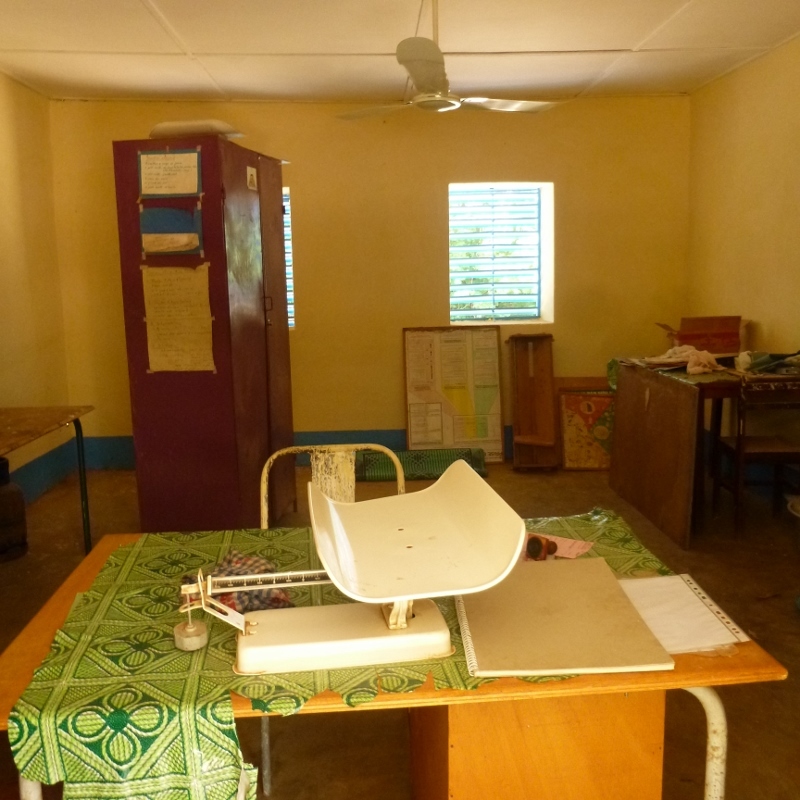 Unfortunately, there is often a lack of facilities for primary care in obstetrics and in the pediatric ward. 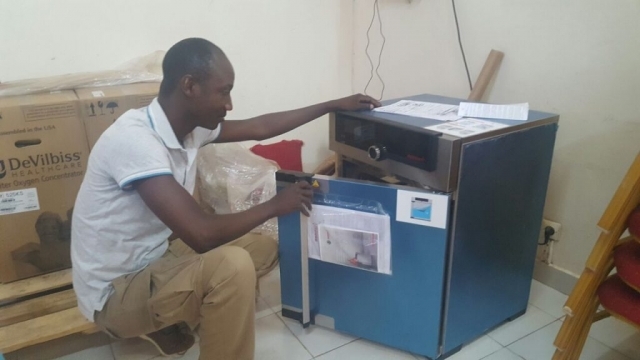 At the beginning of 2017, with the help of a very generous donation, we supplemented the equipment of the Nouna hospital with much-needed apparatus and supplies for the care of children, newborns and pregnant women. 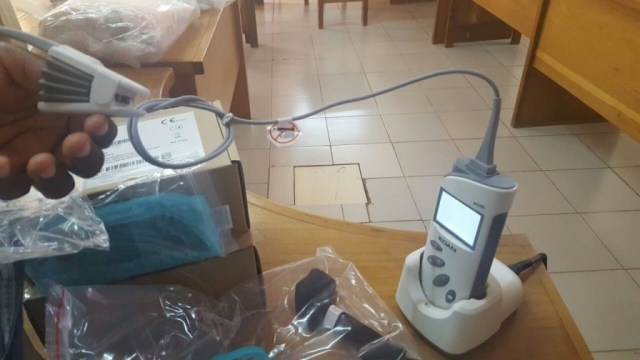 The choice of equipment was made carefully, after consultation with several stakeholders: a doctor who works in the Nouna hospital; a German doctor, who worked in this hospital a few years ago; the Board of the Research Center in Nouna; and the Board of Healthcare of the Province. We at Friends of Nouna ordered the following equipment: an oxygen concentrator, a professional surgical light, a hot air sterilizer, four heat lamps, a set of cesarean section supplies and a complete midwife bag, along with a comprehensive set of surgical supplies. The equipment reached the Nouna hospital at the end of March 2017 and was received there with great joy by the staff. Here we would like to share some of the pictures. 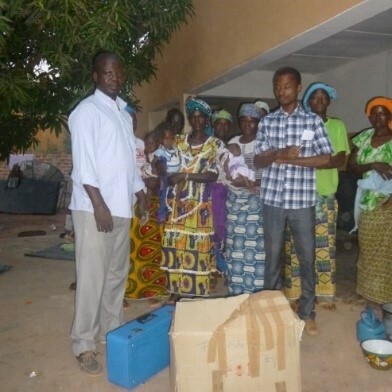 The nutrition program for children and their mothers (CREN project) in Nouna is another project Friends of Nouna has initiated and continues to support. 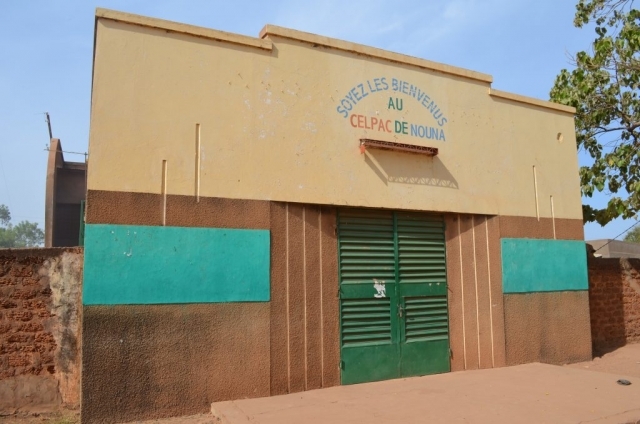 The program is run by an organization attached to the Nouna district hospital and provides several sleeping places for children and their mothers, as well as a small garden. Malnourished children can stay in the CREN for several days and are given high-caloric nutrition mainly consisting of peanuts. Mothers are able to stay with their children until these have gained sufficient weight to leave the CREN. 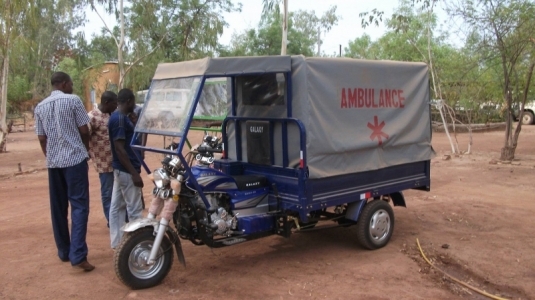 We plan to supply five ambulances to different health centers in the Nouna health district. 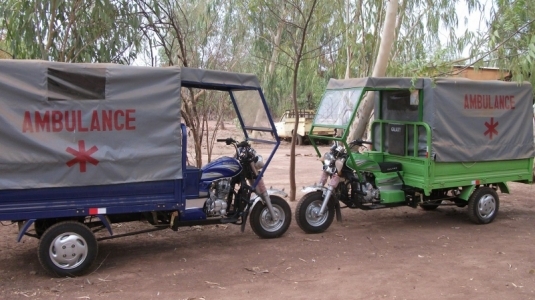 These ambulances will be three-wheel vehicles which are more flexible than regular four-wheel vehicles on the partly difficult to navigate roads. 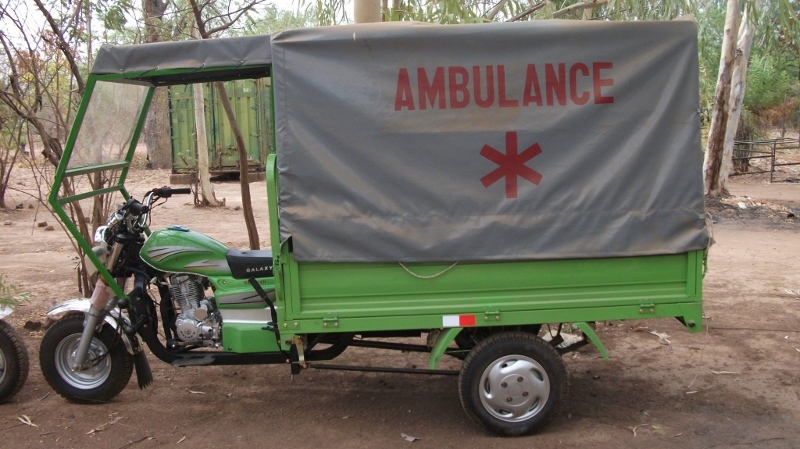 The ambulances will be used to transport patients from the rural health centers to Nouna hospital, and can also be used to pick up patients from home to bring them to the health centers. We will start with a pilot project shortly, installing one ambulance in one of the rural health centers.